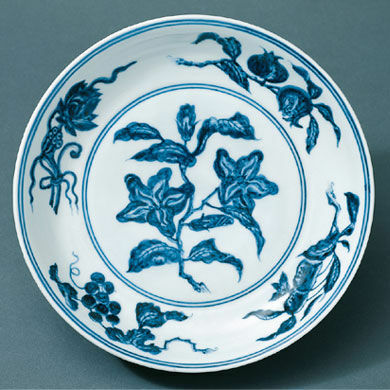 The designs on this Xuande-era dish, consisting of a single, large floral spray in the center of the interior and four different floral sprays along the interior rim, are painted in underglaze cobalt blue. Crepe myrtle is painted in the center, and a lotus, pomegranate, apple, and cherry decorate the rim. The array of fruits and flowers from different seasons of the year may be understood as allusions to the passing of time, although many of these motifs also have symbolic associations. The pomegranate, for example, often symbolized the desire for children, while the Chinese word for apple (ping) is a homonym for that for peace. The combination of these auspicious motifs and their constant reuse has led to the suggestion that dishes with such decoration were intended to be used by women. Commissioned throughout the Ming dynasty, dishes decorated with this type of motif were made in several color schemes, including blue and white, yellow and white, and more rarely, brown and white. If they were indeed made for women, it is possible that the variety in color schemes and decoration may have reflected the different statuses of the many women at the Chinese court. 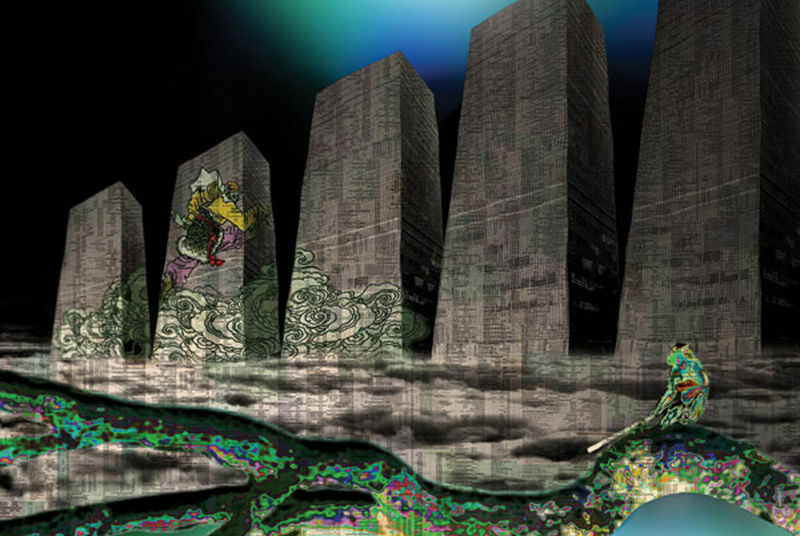 The six-character Xuande reign mark is on the base. The design on this dish is made up of a spray of camellias encircled by peaches, pomegranates, crab apple, and litchi. Although the flowers and fruits on this dish were chosen primarily for their decorative possibilities, many of these motifs have symbolic associations. For example, the pomegranate often symbolized the desire for children, the peach represents immortality, and the Chinese word for apple (ping), is a homonym for peace. The combination of these auspicious motifs and their constant reuse has led to the suggestion that dishes with such decoration were intended to be used by women. Commissioned throughout the Ming dynasty, dishes decorated with this type of motif were made in several color schemes, including blue and white, yellow and white, and more rarely, brown and white. If they were indeed made for women, it is possible that the variety in color schemes and decoration may have reflected the different statuses of the many women at the Chinese court. The six-character Xuande reign mark is on the side of the dish. 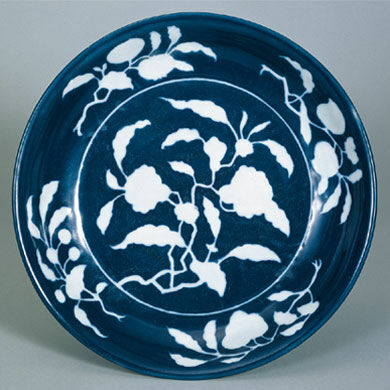 The technique used in decorating this dish consists of incising a design into the porcelain body, painting the surrounding areas with blue pigment, and then covering the entire piece with a transparent glaze.